The red ST-2 Super Tight Clip-On All Instrument Tuner from Snark is a clip-on tuner that utilizes a high-sensitivity vibration sensor or an internal microphone and a full-color display that rotates 360°. This update to the original SN-2 tuner boasts a faster and more accurate tuning chip with a higher-definition display. It can be used to tune any instrument for applications such as rehearsals, recordings, live stage, theater, and more. 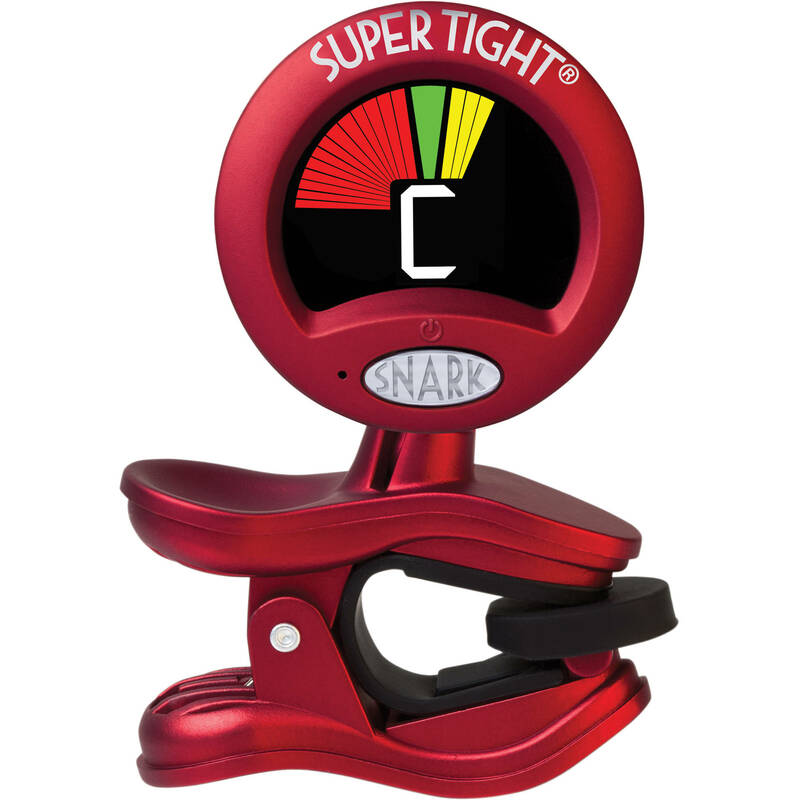 The Snark ST-2 tuner features a stay-put clip, a tap tempo metronome, and it has pitch calibration from 415 to 466 Hz. The tuner features an extended frequency range and is compatible with all instruments. Box Dimensions (LxWxH) 3.6 x 2.7 x 1.8"